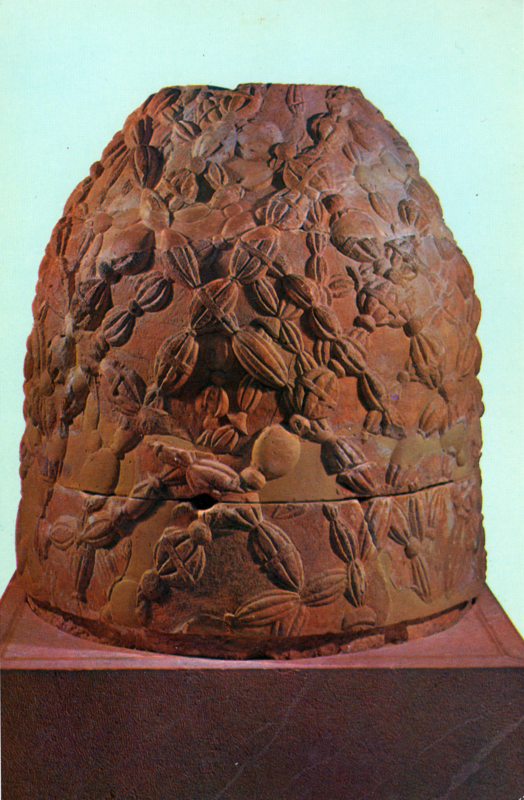 That honey fell from the skies and bees were envoys of the soul were commonly held beliefs among the ancient Greeks. The importance of the bee is born out in similar originary myths, such as those held amongst the Hindu, who referred to the moon as honey-giver, and the bushmen of the Kalahari, for whom honey was moon-water. 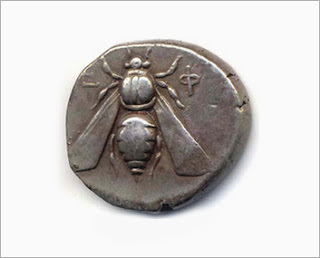 Such superstitions were rooted in observation, for the Greeks saw how bees gathered sugary resin, manna, where it fell onto the branches of trees and the earth, especially around the ash. Before their domestication in hives, wild bees nested in hollows under tree trunks, or declivities, which the Greeks believed were entrances into the chthonic underworld. In her Prolegomena, Jane Ellen Harrison summarizes the sacramentalizing of honey in Greek Religion. At Delphi, conceived by the Greeks as the centre of the cosmos, the oracle temple contained a mysterious votive form, the Omphalos, literally the navel of the world. The original is said to have been stellar born, carved from a meteorite. 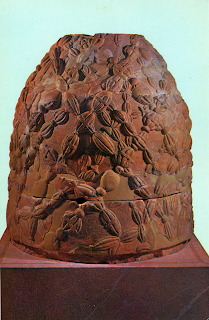 The stone’s crosswork pattern closely resembles an interlaced infinite network of bees. The form is hollow, possibly to allow the infusion of visionary substances during the rites. Harrison characterizes the shamanic rituals associated with the oracle, performed by the priestesses ‘adorned with swift wings’. Honey, brewed as mead, was one of humankind’s earliest intoxicants, associated with vision & prophecy. 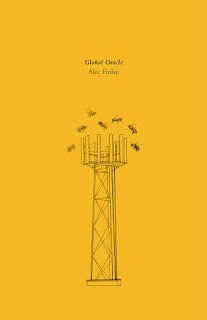 Bee society continues to fascinate, offering itself as a symbol in radically differing accounts of our behavior as political or economic animals. 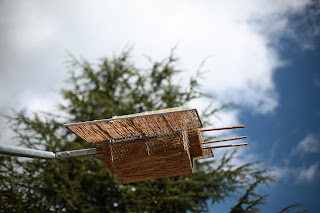 Even the association with outer space recurs, as in The Life of the Bee, where Maeterlinck turns our observations of the beehive into our earth-hive being observed by Martians. 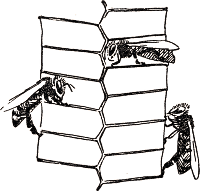 Domestication encourages affinity; bees are our familiars, but the behavior of their colonies remains strange to us – an alien-ness made more urgent by the catastrophe of CCD. Our rational science-driven culture fixes itself at an infinite distance from such oracular rites. 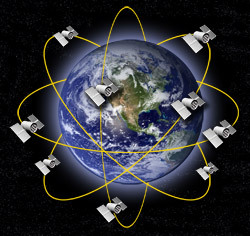 But, considered mytho-poetically, what is the network of NAVSTAR GPS satellites which orbit the globe continuously, but a swarm of bees flying through the heavens, communicating from antennae, foretelling the immediate future as instantaneous vectors of time, space & location. 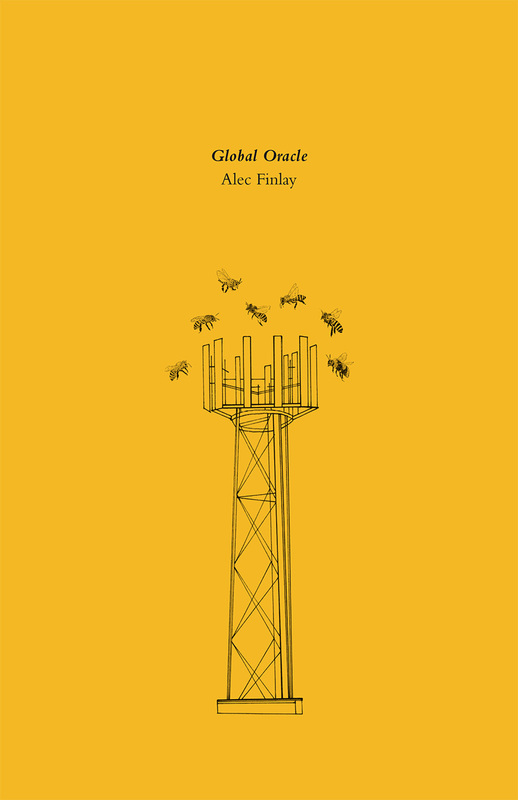 Global Oracle juxtaposes contemporary communication systems and ancient myths. Once completed, the installation will comprise 24 model NAVSTAR satellites, made from straw, willow, steel and wood, functioning as nests for solitary bees. The installation comprises a trio of model NAVSTAR satellites, made from straw, willow, steel and wood, functioning as nests for solitary bees, sited amongst bee-friendly plants and fruit trees. Global Oracle is connected to a wider series of ongoing projects concerned with bees and apiculture – sculpture installation, text, multimedia & web publication – gathered together under the overall title, the bee bole. 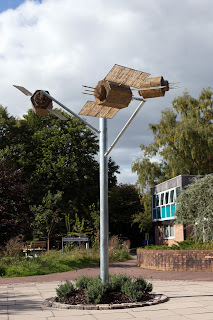 These include The Bee Library, which features smaller book-nests for wild bees, constructed from books, including a number of volumes which relate directly to Global Oracle. 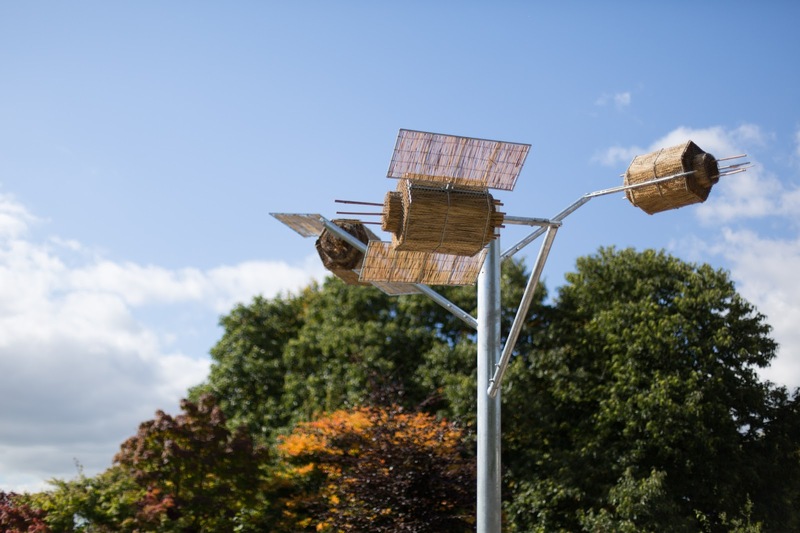 The first bee library was installed at Yorkshire Sculpture Park in May 2012, the second will at the 18th Biennial of Sydney, June 2012. With thanks to Spencer, Luke, Jenna, Hannah, and Hanna.